Through my experiences the last few months of snow, butterflies and irony, it has become very clear to me that God speaks to me through coincidences. Artwork and the word beauty. A couple of days before my mom died, a mommy friend, C, was working as a nurse at hospice. She had just returned from maternity leave, this was her second shift. During this shift, she took the time to take me aside in the living room to explain what was happening with mom and her body. Mom had transitioned that day and was no longer speaking. I don’t know what I would have done without C’s insight and care for me. Off to lie down again. Feeling the sun of love on my cheeks. 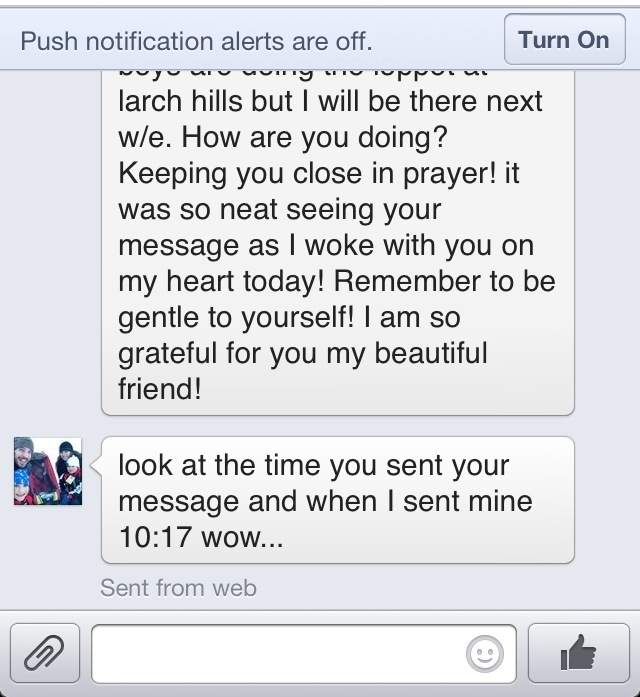 Amazed by my friends and God’s love for me. How do you feel God speaks to you? If you don’t feel He does, could you ask him?